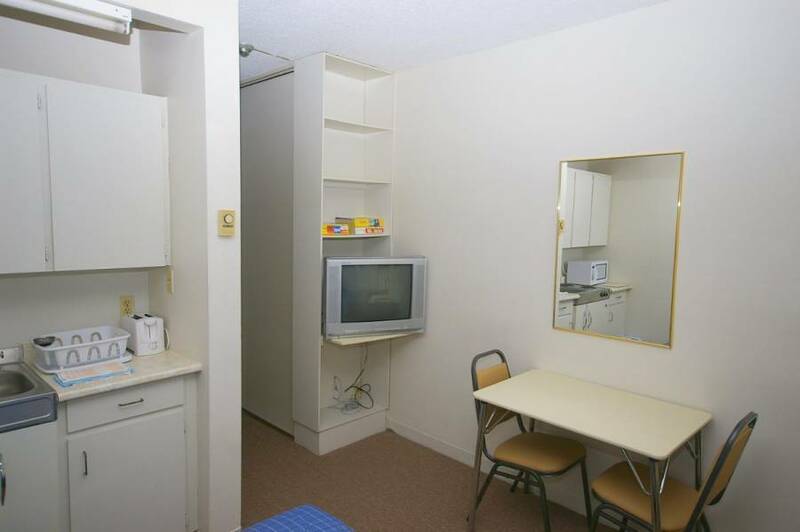 Alexandra Hotel is an economically priced hotel in Downtown Toronto within walking distance to many popular areas such as Queen St. West , Entertainment & Theatre Districts, Kensington Market, and Chinatown. Close to all shopping , restaurants, entertainment, and public transit. 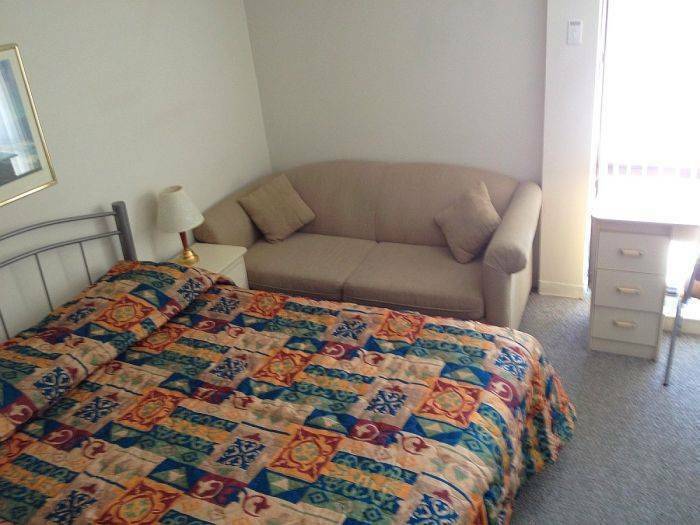 All rooms are fully equipped and furnished studio efficiency units with kitchenettes and private bathroom - Ideal for short or longer term stays. Rooms include cable T. V., direct dial telephone, and free Wifi and wired internet. Daily maid service provided. Coin operated laundry on each floor. Onsite parking available for $5 per day. All major credit cards accepted. All rooms equipped with a kitchenette that includes a small fridge, microwave oven, toaster, dishes, cutlery and cooking utensils. Most rooms have 1 double and 1 single bed suitable for 1-3 persons. 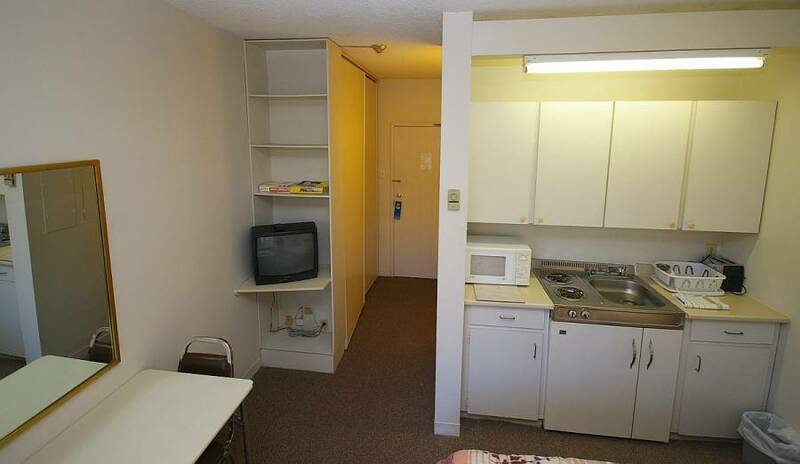 Cable T. V. , direct dial phone and free Wifi and wired internet. Private bathroom with tub and shower. Daily Maid service. 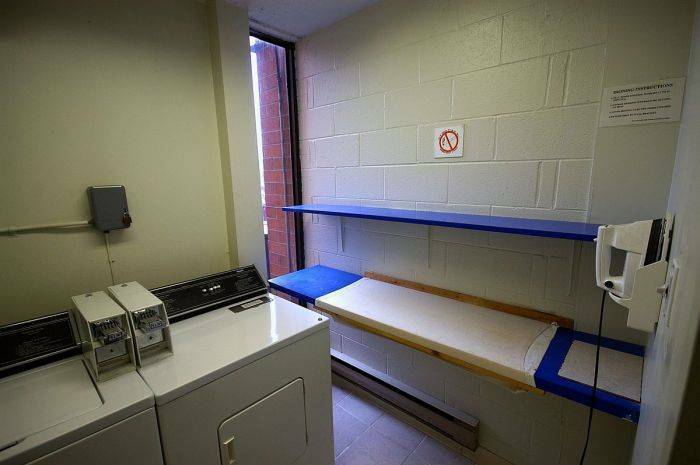 Coin Operated Laundry on each floor. Onsite Parking for $5 per day. All major credit cards accepted. 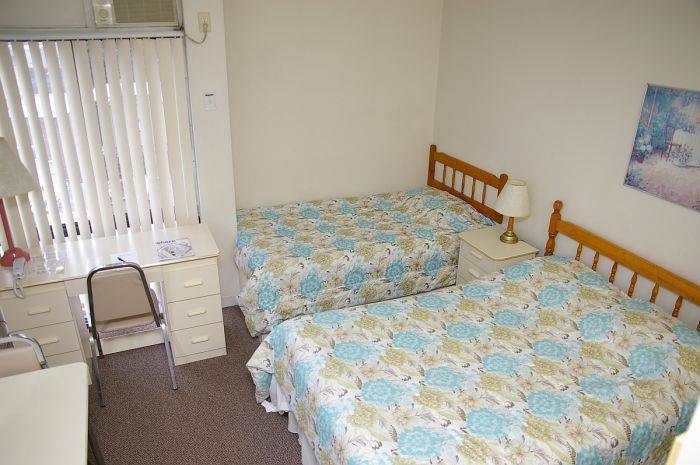 Alexandra Hotel is located on a quiet residential street, across from Alexandra Park. It is within minutes walk to many exciting and diverse areas of Downtown Toronto, such as Queen St. West, Kensington Market, Chinatown and the Theatre and Entertainment districts. Cancellations can be made up to 12 noon the date of arrival without penalty. Alexandra Hotel is located 1 block east of Bathurst St. or 5 blocks west of Spadina Ave. running north off Queen St. 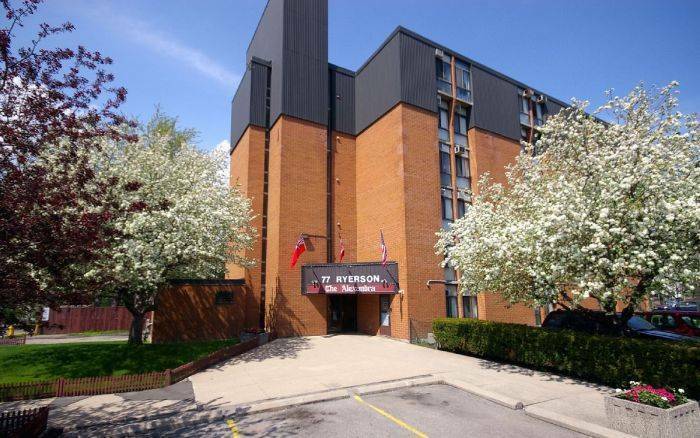 The hotel is located right across the street from Alexandra Park.